I love breakfast. I never skip it. Not only is it the most important meal of the day, but it can also be the most delicious. Many people skip breakfast every day, and scoff at me when I obsess over my need for a well-rounded, filling breakfast to start my day. Well, I think those people are aliens. Not really, but their opinions of breakfast are alien to me. My husband has been having a bad week, so I decided to wake up and make a big breakfast for the both us (by the way, my husband is one of those aliens that don't eat breakfast most days). 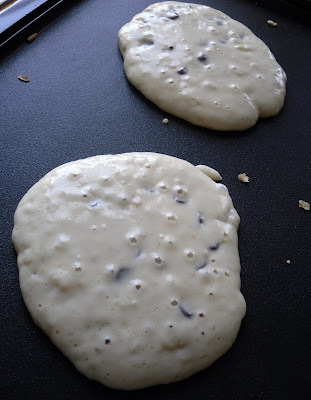 There's just something so comforting about pancakes so here's my recipe for banana chocolate chip pancakes. 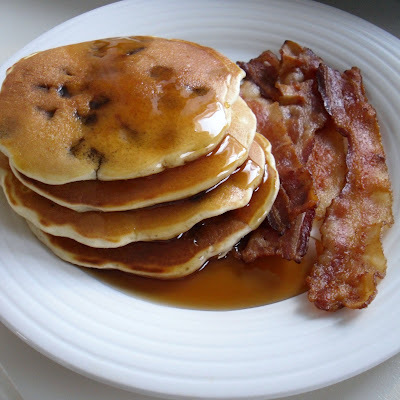 This recipe will make about 10-12 pancakes, which feeds about 4 hungry people. 1. In a bowl, mix together bananas, egg and milk. 2. Pour baking mix into a large bowl. Add banana mixture and stir until well combined and batter is formed. 4. Preheat non-stick griddle to 325. Drop batter using a 1/4 cup measure (a small ladle works well for consistent measurements) and cook until bubbles form on top. 5. Flip and continue to cook until golden brown on both sides. 6. Serve with your favorite toppings: syrup, whipped cream, ice cream, whatever! My favorite breakfast food is BACON. Though bacon may contribute to heart disease, obesity, blah blah blah (I am a nurse... I should care more about this fact), I firmly believe everything can be enjoyed in moderation. Once in a while, I need a fix and I usually cook my bacon til it's dark brown and crispy and most of the fat has melted off, then pat the grease off with some paper towels. If you are watching your cholesterol & fat intake, swap bacon for turkey bacon, which I find is an comparably delicious alternative (though still high in sodium). To cook large quantities of bacon, I love using a griddle. I own a presto tilt & drain griddle, which is great for draining the grease & fat off your bacon while you cook. Heat your griddle to 300 degrees and cook your bacon til desired crispiness. 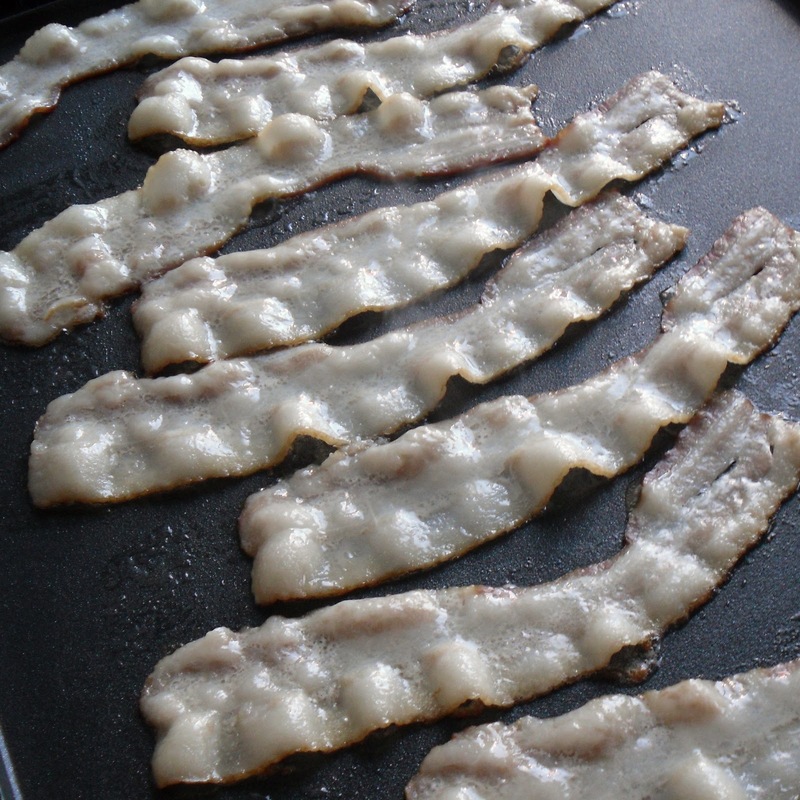 Let bacon rest on paper towels for a few minutes after cooking so extra grease is absorbed off bacon, and enjoy!